3D printing is a process in which materials are joined or solidified under computer control to create a three dimensional object. The technology was originally patented in the early 1980’s by an inventor called Chuck Hull who envisaged a system that could create 3D items by building up layers using a cross sectional pattern of an item. Today the 3D printing market is worth $8 billion and the applications of 3D printed solutions are endless. Everyone, from doctors creating organs, skin and bones to NASA 3D printing pizzas for Astronauts to eat, are realising the potential of the fast and efficient process created by 3D printers. 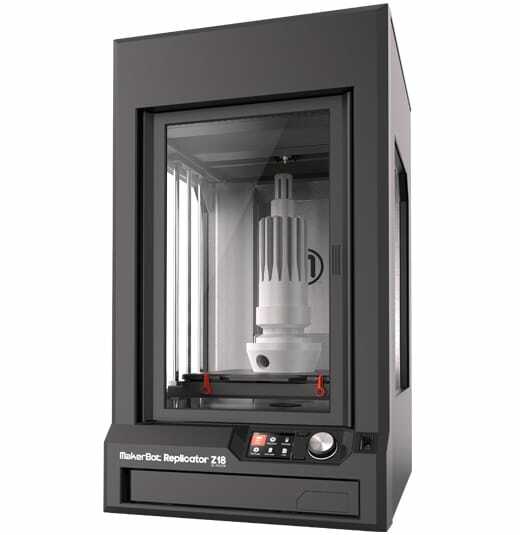 As part of DLS Plastics’ constant strive to provide the best in product development, we now have a Makerbot Replicator Z18 3D printer on site. Having this facility available, allows our design department to place a 3D plastic model of a future product in a customer’s hand to ensure it meets requirements without having to produce an expensive and time consuming injection mould first. 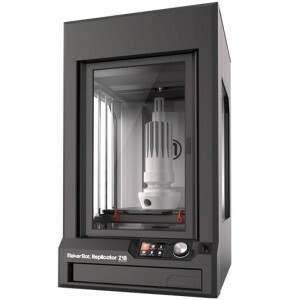 This 3D printer in particular is able to produce components as big as 30cm long x 30cm wide and a massive 45cm high, all whilst using the minimal amount of material required. This, combined with the expertise of our in house designers, allows for a much quicker and more efficient product development and fine tuning process – meaning we can deliver perfectly honed final products quicker than ever. To discuss your injection moulded product requirements with our design or sales team, call today on 01476 564549. According to the United Nations Human Rights Council, Internet access is now a basic human right and they condemn any country that restricts or disrupts their citizen’s access to the world wide web. Rating Internet access just below physiological needs such as shelter, air, food and water shows just how reliant modern society is on gadgets and connectivity. With advances in technology being made every day, its easy to forget and overlook the simpler things in life – the cornerstones and core components of the world that have been effectively doing their job effortlessly for decades. Designed to be robust, lightweight and strong, the DLS range of corner joints is just one of these components. Manufactured in the UK, our Single and Double Corner Joints with lids are sold and despatched to destinations all around the world. These uncomplicated but resilient brackets can create a strong and rigid joint between two pieces of wood with the addition of two screws, then simply press the lid into place to hide the fixings and leave it to do its job. Its this straightforward concept that makes the corner joint so dependable and popular, with over 1 million units being manufactured and sold every year. DLS is able to supply both the Single and Double Corner Joints in a plethora of stock colours, but also offer a colour matching service for customers requiring a unique finish whilst maintaining excellent value for money . So next time you sit down at your desk to access the internet or work on your latest project, spare a thought for the humble corner joint holding that piece of furniture together and consider whether your product would benefit from the strength, support and reliability of a DLS Corner Joint. Call the DLS Plastics Sales Team today on 01476 564549. Picture the scene, your customer has taken delivery of their pride and joy new holiday home on a leafy and peaceful site deep in the countryside. They’ve taken a considered approach and opted for a green exterior to minimise any visual impact on the surrounding environment. As they stand back and take joy from their new escape stood resplendent in front of them, one small detail seems to break the colour continuity – a bright white gravity vent sticking out like a sore thumb. OK, so that might be a little dramatic – but DLS Plastics think its important that even the smallest of details are taken care of for total consumer satisfaction. That’s why the DLS team have designed and engineered a gravity vent which can be moulded and supplied in colours to match the exterior of your holiday homes. 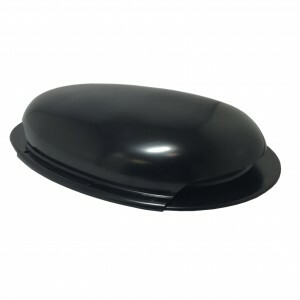 The product itself is designed to work with standard 4 inch/101mm flexible ducting to exhaust fumes from the kitchen cooker hood. A screw hole in each corner ensures secure mounting and three moving fins permit maximum air flow but provide minimal weather ingress. The Grantham Journal Business Awards were recently held in St. Wulfram’s Church Grantham, to recognise and celebrate local business success. Guests were entertained by awards host Melvyn Prior (BBC Radio Lincolnshire), and magician Max Francis, whilst music was provided by Moonstone String Trio. All 3 companies from each of the 11 judgement categories were assessed by judges and sponsors during a company visit and provided videos to show off their individual attributes. These short films were then shown at the awards ceremony to give everyone present an understanding of each business’ background. 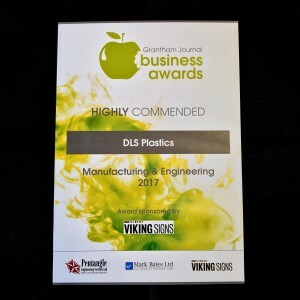 DLS Plastics were fortunate to be awarded ‘Highly Commended’ status among tough competition in the Manufacturing and Engineering category. Judges were impressed with DLS’ manufacturing facilities, engineering prowess and innovative approach to developing and supplying solutions for new and existing customers. 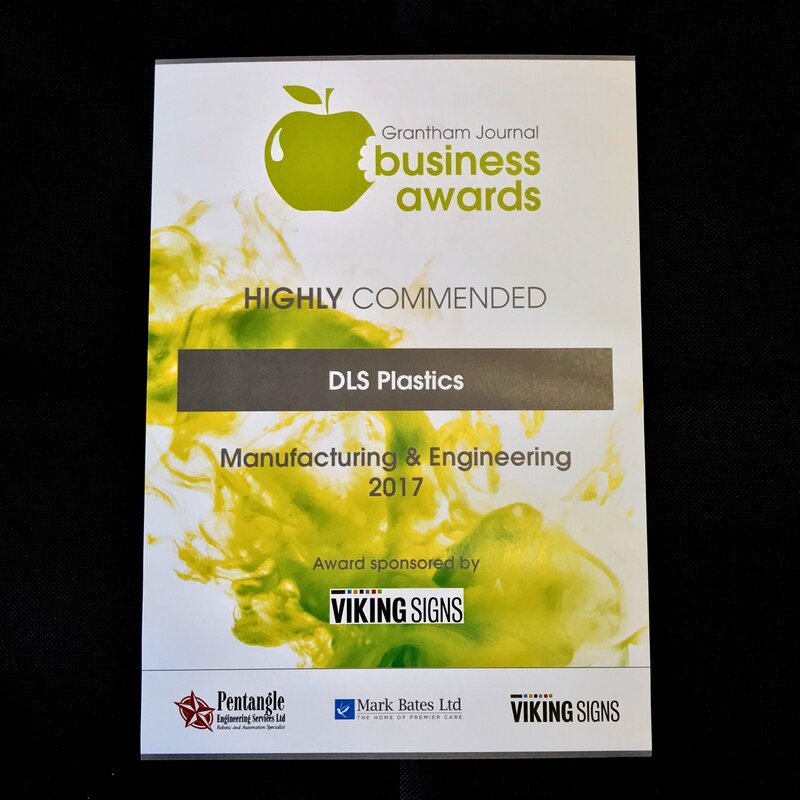 We would like to take this opportunity to thank The Grantham Journal, Viking Signs and everyone else who was involved for considering DLS Plastics – we look forward to being involved with future awards. Ultraviolet (UV) rays are electromagnetic radiation rays that are invisible to the human eye and make up 10% of the total light output of the sun. Different types of radiation create different effects and although UV radiation doesn’t have the energy to ionise atoms and pose adverse health effects like other radiation forms, it does have the potential to trigger chemical reactions. UV degradation is the name given to the reaction caused by materials absorbing UV rays and the break down process that this causes. 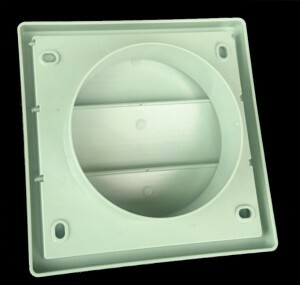 Plastic materials such as polypropylene and LDPE are particularly susceptible to UV degradation after being exposed to unfiltered sunlight and atmospheric oxygen. Plastic UV degradation is often characterised by mouldings fading in colour, having a chalky or cracked surface texture or components becoming brittle and failing completely. In order to produce mouldings and components for external use that are resistant to UV radiation, a UV resistant additive or material must be used during the moulding process. 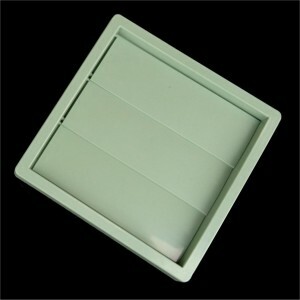 DLS Plastics has been using UV resistant additives in its external use components for many years. Designers and engineers have been using knowledge gained from use of an in house weather tester to optimise mouldings and make the most of additives to provide as much protection as possible. 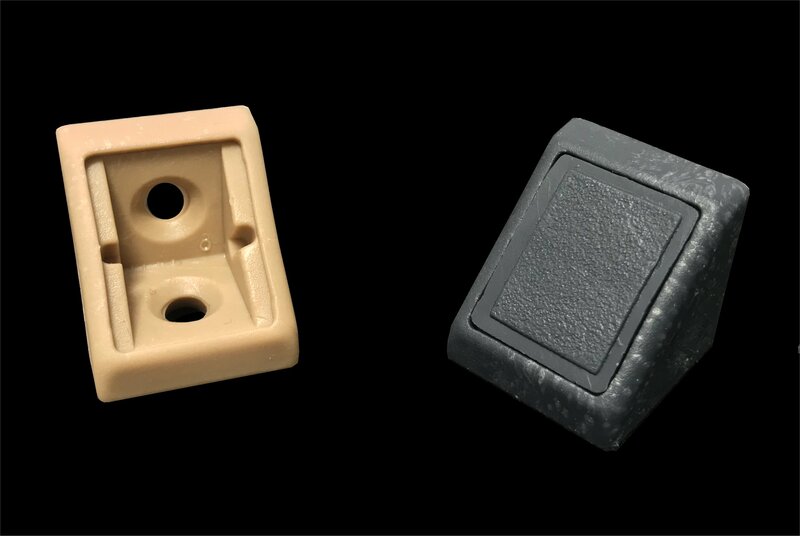 More recently DLS has been able to offer a white material that has been developed and compounded specifically to provide a higher level of resistance to the effects of UV radiation and significantly extends the life expectancy of the final plastic moulding. 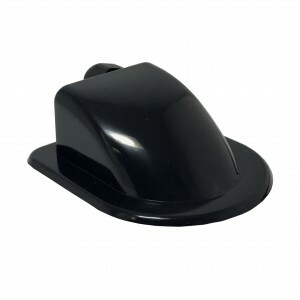 After considerable interest and a high number of requests, this material is now stocked in black – providing glossy, stylish black mouldings that still have the same high level of protection against UV rays. Please see below a selection of existing products that have already been manufactured using this material. 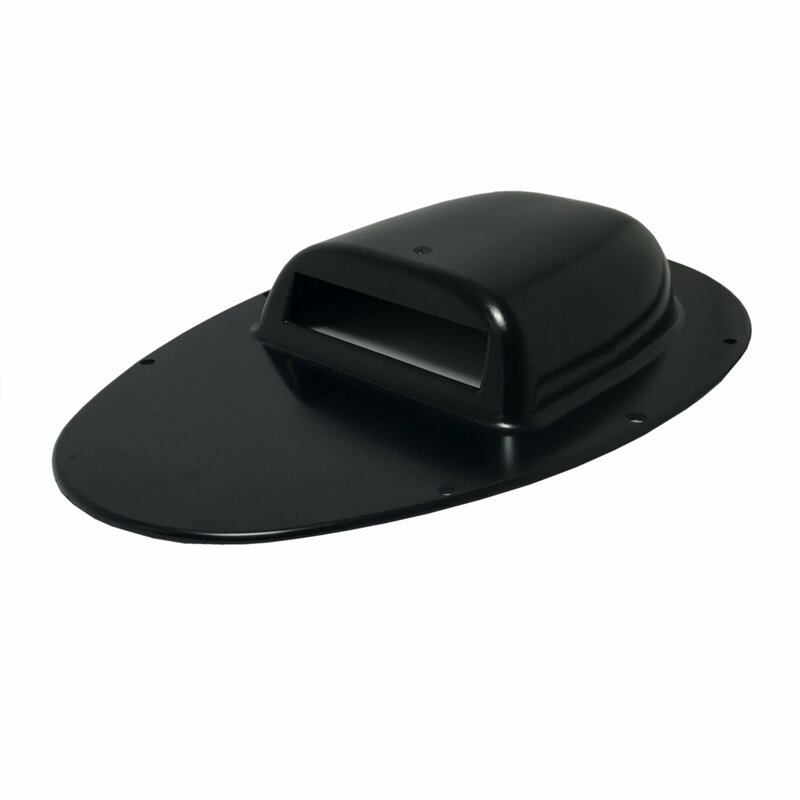 If you have an external plastic component that you think would be benefit from a black UV resistant material, please contact our design team today on 01476 564549. Compromise; the expedient acceptance of standards that are lower than is desirable. If your looking for metal-like aesthetics but don’t want the cost, weight and maintenance requirements of metal components , we don’t think you should compromise. As part of our constant strive to be ahead of the curve in Injection Moulding technology, we are trialling a new range of materials which give a high gloss metallic finish to final mouldings. These materials create a premium, metal-like aesthetic, from a light weight, cost effective and maintenance free plastic component. 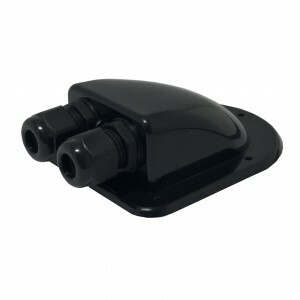 In order to get the best from the material, and ensure an imperfection free moulding, the DLS Plastics design team are able to create a mould tool design that is optimised for this type of material. Creating a plastic moulding with a metallic finish that is smooth and does not have flow marks is a difficult process, but is one that the highly trained design team on site at DLS Plastics, together with the experienced mould room staff, are mastering. If you have a project that you think would benefit from metallic plastic components, contact our design team today on 01476 564549. The UK uses over 5 million tonnes of plastic each year, of which an estimated 29% is currently being recovered or recycled. The government target for plastic recycling in 2020 is set at 57%, meaning that both household and commercial and industrial (C&I) consumers need to be more proactive than ever when it comes to recycling plastic materials and reducing land fill waste. 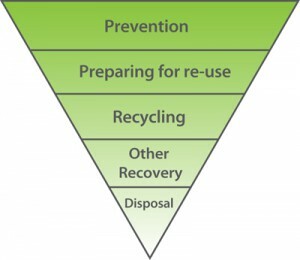 DLS Plastics Ltd has always endeavoured to recycle as many materials as possible, an approach which can be identified and described best using the DEFRA (Department for Environment, Food & Rural Affairs) Waste Hierarchy. One of the biggest factors to consider when reducing the environmental impact of producing plastic components, happens long before the product has even been physically moulded. 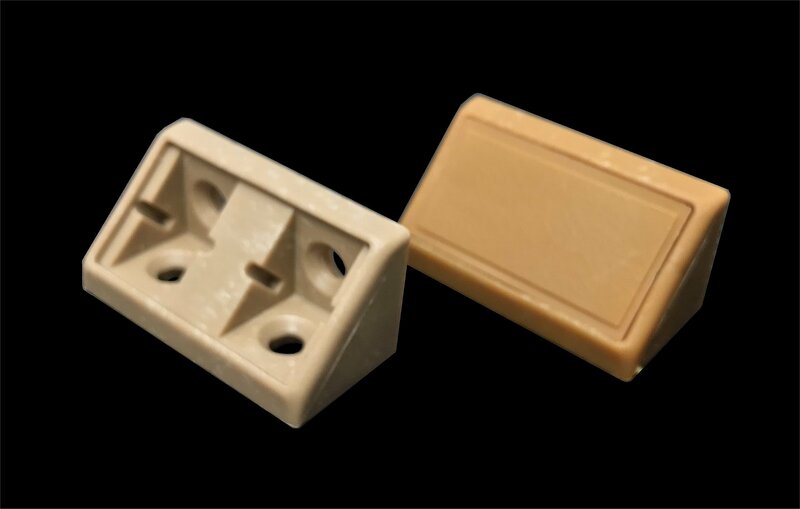 Consciously designing components to require less material input not only reduces the amount of material consumed, but also helps to reduce the energy required during the moulding process as well as providing cost reductions for manufacturers and consumers. The design team on site at DLS Plastics optimise mould tools to use the minimum amount of material to achieve the perfect moulding. This approach combined with the knowledge and efficiency of the injection moulding machine operatives means minimal wastage and material usage. Another strategy to consider when reducing plastic consumption, is to evaluate whether certain materials, components or parts can be used in other applications rather than being disposed of. With so many different designs and components created since DLS Plastics Ltd began trading in 1973, often it is the case that a requirement for a new product can be fulfilled using a component or material that was originally manufactured or sourced for a different application. This also applies to other aspects, not just plastic components and materials. 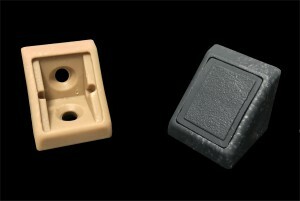 For example, new mould tools can be produced using material and components sourced from obsolete mould tools. By far the most important level of the waste hierarchy to consider when reducing the environmental impact of producing plastic components, is recycling. Inevitably there will always be a level of ‘consumption’ in manufacturing that cannot be avoided. For example mouldings that are manufactured but never get used by customers, pre-production sample mouldings where the tool is subsequently tweaked or mouldings that are faulty. It is important to see the value of the recycled material, even if it does not equal the original value of the raw material. 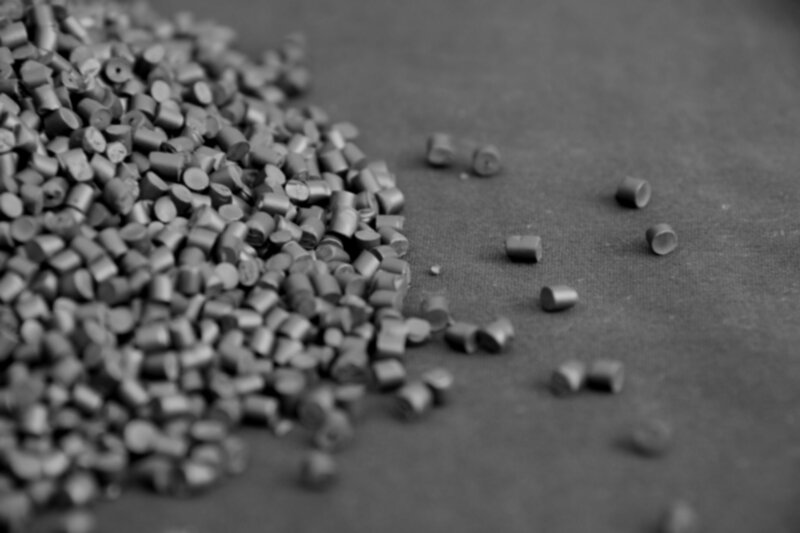 Using 3 on site regrind machines, DLS are able to convert moulded components back into granulated materials ready to be reused in injection moulding machines. 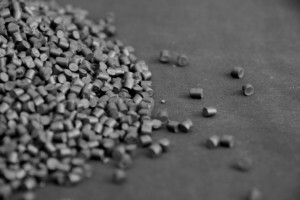 Any material that cannot be reused by DLS, because moulding applications specify virgin material use only, is supplied to a network of external plastic recycling specialists to be used by others. A recent boost to the DLS Plastics recycling efforts is the advent of a semi automatic baling machine. This allows for plastic packaging materials such as polythene bags or pallet stretch wrap, to be collected and baled before being supplied to external plastic recycling specialists to be shredded, recycled and reused by other manufacturers in various applications. The other recovery level of recycling refers to incineration with energy recovery, anaerobic digestion, gasification and pyrolysis. All of these processes do not take value in the make up of the recycled materials, but in what product or energy can be made as a by-product of breaking the materials down – for example heat energy or bio fuel. This stage of recycling is handled by a waste management company externally of DLS Plastics who collect and separate waste before recycling or disposing of it. Inevitably, not all materials are able to be recycled and until technology comes along that can change that, these materials will end up in landfill sites. The landfill waste produced at DLS Plastics is kept to an absolute minimum via the measure outlined above. As plastic manufacture and oil consumption grows in the UK, its is becoming more and more important to realise the value of recycling materials and making good use of items that still have plenty of life left. DLS Plastics Ltd will always strive to be at the forefront of recycling measures and keep its finger on the pulse when it comes to being environmentally conscious and reducing the consumption of natural resource based materials. 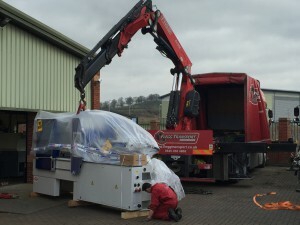 2 brand new Wittman Battenfeld Smart Power 120T Injection Moulding machines were recently delivered and installed at DLS Plastics Ltd’s Grantham site. Wittmann Battenfeld have developed their Smart power 25 – 350T injection moulding machines to be their most efficient and user friendly machine to date. With innovative features such as open drop areas for quick and easy part ejection, a centralised hydraulic clamping system to provide fast and even clamping and precision linear guides to provide support and protection for light or heavy moulding tools. The new machines also offer many features to allow DLS to closely monitor and reduce energy usage wherever possible. The use of an energy saving servo allows maximum effort from minimum energy input and means short cycles time are easily achievable. KERS (Kinetic Energy Recovery System) has also been utilised to reduce energy consumption. 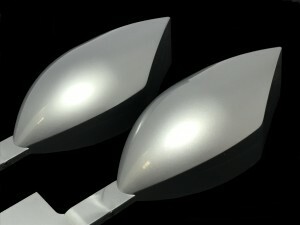 Currently used in Formula 1 Motorsport, KERS is usually associated with the automotive industry. However, Wittmann Battenfeld have installed the latest technology, to return and store energy generated during the deceleration processes of moving parts. This energy is stored internally and then used for other processes such as barrel heating or for control module use. The decision was made by DLS to opt for Wittmann Battenfeld machines based on the previous excellent experience with both their machines and the company as a whole. 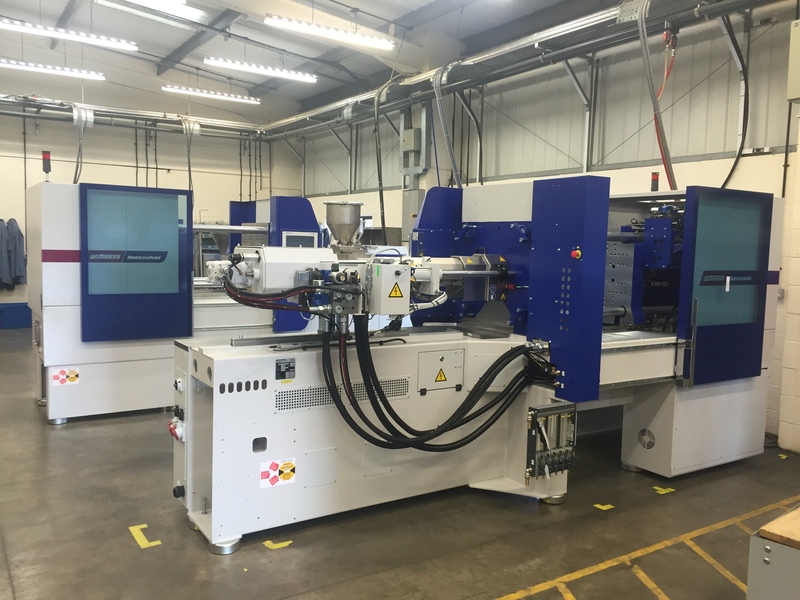 The 2 new machines were selected to allow for an increased scope of moulding in terms of hydraulic clamping pressure. They will also allow for a higher number of moulding jobs to be carried out in a shorter amount of time, meaning that ever increasing customer expectations can be met quickly and efficiently. After many years of valuable user feedback, it was clear that the original DLS Plastics website was in need of an update and refresh. The new site has been created with improved user experience in mind, and has a much improved page layout and features to aid site navigation. The large portfolio of DLS products has been organised into clear and concise product categories. This combined with an effective search tool has allowed users to better access the information they need and find the correct specification part for their requirements. All of the useful product information has been retained from the original website, but is better displayed and easier to decipher. The new layout also helps to easier compare multiple products and also view related and similar items. The latest technology has been used to ensure the new site is compatible for all browsers and works smoothly for all users on any device. New and updated service information will follow and provide an insight into the impressive portfolio of skills and abilities of DLS Plastics Ltd. Each service will have its own dedicated page providing all the information, images and specifications for that process. Also due to follow is the ‘DLS Story’ page, outlining the history of DLS Plastics Ltd and how the company has grown over its many years of trading. Visitors can also stay informed with the latest news of the company, including announcements, product innovations and customer case studies. The website will further evolve and will be actively updated going forward, so please watch this space. If you have any feedback or suggestions, please do not hesitate to contact us. DLS under its parent name of “Direct Leisure Supplies Limited has been included in the East Midlands Top 200 Fastest Growing Companies Report 2015. The report compiled by Grant Thornton and the CBI surveyed company information to identify the companies with the greatest increast in operational profit. DLS was ranked 123rd out of the 200 listed. There is a diverse range of companies in terms of size, activity and location. The report makes some general observations about the state of the East Midlands economy which seems to have survived the challenging conditions of the last few years. DLS will remain closely focussed on servicing its customer needs. If that leads to further recognition and accolade then so much the better!